Who else is looking forward to this year’s POGO charity party? It takes place at the Liberty Grand Entertainment Complex with awesome people like Mike Chalut from ProudFM. This year’s theme is “ODYSSEY” so get your space suits out and join 1,000 philanthropic party goers in “a journey through space” in support of children with cancer. 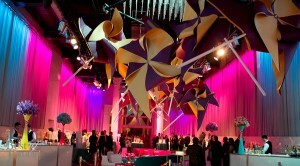 Last year the POGO gala raised $800K for this important cause. The party starts at 9:30pm this Saturday, April 12th, 2014 featuring dancing, awesome people, delicious bites and a host bar. 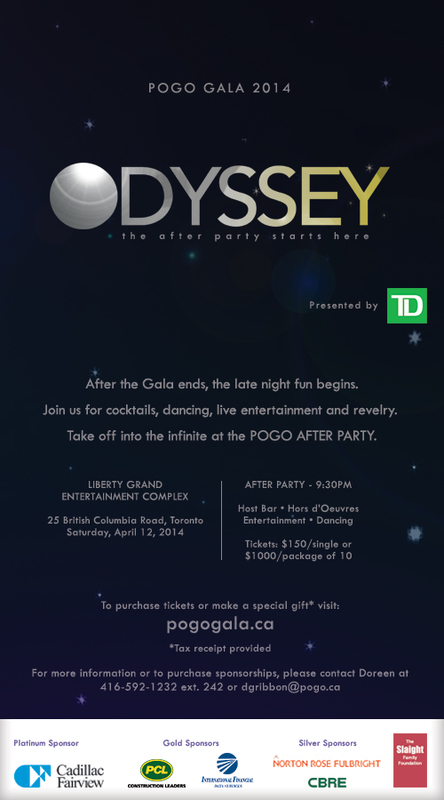 More details and online ticket purchases for the POGO after party are here. The Pediatric Oncology Group of Ontario (POGO) was founded in 1983 by a group of pediatric oncologists to champion childhood cancer care and control. As the representative voice of the childhood cancer community, POGO works to ensure that all of Ontario’s children have equal access to state-of-the-art diagnosis, treatment and required ancillary services. We also aim to make certain that Ontario’s children have the greatest prospects for survival with an optimal quality of life.